I don’t often review books intended for children. Pam Funke was kind enough to send me three of her children’s books for me to do just that. I read: Through the Eyes of a Child, Where Did I Come From, and Josh’s Wild Imagination. 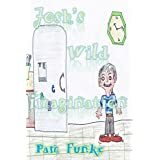 Josh’s Wild Imagination follows Josh through the fridge to the land of Midian where he meets the Fruggies. The Fruggies are little apostles who evangelize children to help their parents come back to Jesus. This is a cute story geared toward the younger set, the hand-drawn artwork is cute and the story flows well. Great opportunity to encourage younger kids to ask questions. I would recommend this is read via computer or tablet, the pictures don’t come through as well in black and white. 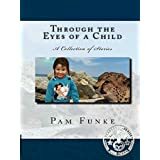 Through the Eyes of a Child is a collection of short stories that center on teaching children a life lesson in a short, easy format. Could be used at bedtime or as a homeschool Bible lesson for young learners. Each story is only a few pages long and includes a photo of one of God’s creatures along with a story. I would recommend this is read via computer or tablet, the pictures don’t come through as well in black and white and kids will enjoy the various pictures of bugs. Lizards, etc. Where Did I Come From? 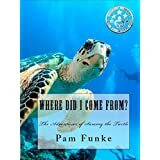 Follows the life of Sammy through hatching and meeting with various other sea creatures. Sammy goes through various trials real sea turtles would face, such as potentially becoming dinner for a bird. Could be used as a homeschool science lesson for young learners as a part of a unit study. This book has great imagery to get little imaginations working!